Joseph Vincent Charyk (September 9, 1920 – September 28, 2016) was widely credited as the founder of the geosynchronous communications satellite industry. He was born in Canmore, Alberta in a Ukrainian family. 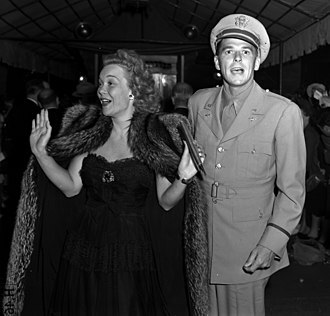 Early in his career, Charyk consolidated the Central Intelligence Agency, United States Air Force, and United States Navy space programs into the National Reconnaissance Office (NRO). He brought the first United States imagery satellite, CORONA, into operation and demonstrated signals intelligence technology from space. During his tenure, the NRO operated the U-2 reconnaissance aircraft and managed development of the A-12. Charyk served as Chief Scientist of the United States Air Force until he was appointed the Undersecretary of the Air Force. In 1961 he was appointed by President John F. Kennedy to be the first Director of the National Reconnaissance Office. He later returned to aerospace industry, serving as first president of Communications Satellite Corporation. Charyk decided to make geosynchronous satellites the basis of the Comsat network. 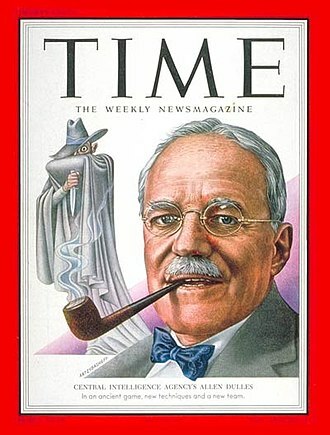 He fought skepticism that this untested technology would not work for voice transmission because of a half-second time delay. He also raised funds to support this new industry and enlisted the cooperation of countries around the world. His efforts launched a global system that would eventually seem commonplace to billions of people around the world. While at Comsat, Charyk served as President, CEO, and Chairman from 1963 to 1985. Charyk earned his bachelors in Engineering and Physics from the University of Alberta and his PhD in Aeronautics from the California Institute of Technology. In 1973 Charyk was inducted into the National Academy of Sciences and National Academy of Engineering for "basic contributions relating to space flight and leadership in development of communications satellites". 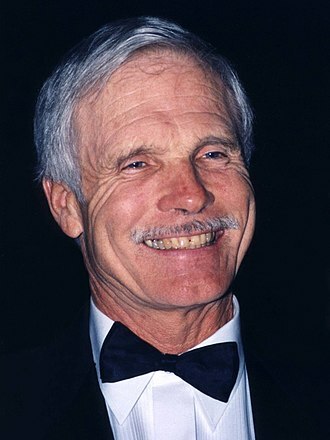 In 1974 he received the International Emmy Directorate Award for his work with COMSAT. 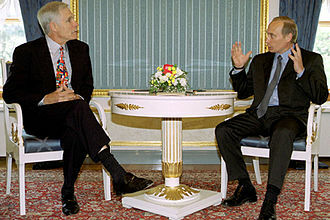 In 1987 President Ronald Reagan awarded Charyk the National Medal of Technology and Innovation "[f]or employment of the concept of the geosynchronous communications satellite systems as the basis for a global telecommunications system, established by international agreement, and for his guidance in the development and growth of the Intelsat system, which today services over 150 nations and territories". Charyk died on September 28, 2016 at the age of 96. ^ Laurie, Clayton. Leaders of the National Reconnaissance Office 1961-2001. 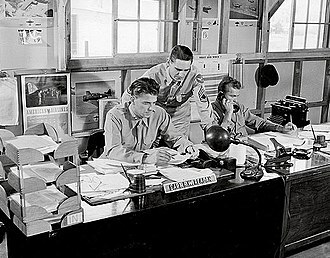 Office of the Historian, National Reconnaissance Office. 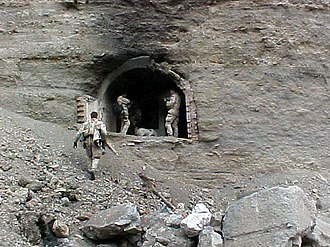 1 May 2002. ^ National Reconnaissance Office. "NRO Directors: Dr. Joseph Charyk". nro.gov. Retrieved 3 July 2014. ^ Ford, Towbridge. "This History of the NRO". rockythedog.net. Retrieved 3 July 2014. ^ "Charyk". Encyclopedia Astronautica. Retrieved 3 July 2014. ^ National Academy of Engineering. "NAE Members". 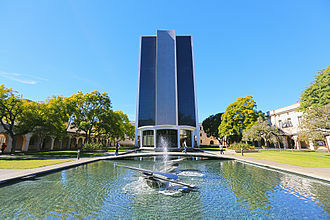 National Academy of Engineering. Retrieved 3 July 2014. ^ "The National Medal of Technology and Innovation Recipients". uspto.gov. ^ "Obituary For: Joseph Vincent Charyk". Retrieved October 3, 2016. The McDonnell Douglas/General Dynamics A-12 Avenger II was a proposed American attack aircraft from McDonnell Douglas and General Dynamics. It was to be an all-weather, carrier-based stealth bomber replacement for the Grumman A-6 Intruder in the United States Navy and its Avenger II name was taken from the Grumman TBF Avenger of World War II. The manner of its cancellation was contested through litigation until a settlement was reached in January 2014, the United States Navy began the Advanced Tactical Aircraft program in 1983. The program was to develop and field a replacement for the A-6 Intruder by 1994, stealth technology developed for the United States Air Force would be used heavily in the program. Concept design contracts were awarded to the teams of McDonnell Douglas/General Dynamics. The teams were awarded contracts for further development in 1986. The McDonnell Douglas/General Dynamics team was selected as the winner on 13 January 1988, the McDonnell Douglas/General Dynamics team was awarded a development contract and the ATA aircraft was designated A-12. The first flight was planned for December 1990. The A-12 was named Avenger II in homage to the World War II-era Navy torpedo-bomber Grumman TBF Avenger, the Navy initially sought to buy 620 A-12s and Marines wanted 238. In addition, the Air Force briefly considered ordering some 400 of an A-12 derivative, the A-12 was promoted as a possible replacement for the Air Forces General Dynamics F-111 Aardvark, and for the United Kingdoms Panavia Tornado fighter-bombers. The craft was a wing design in the shape of an isosceles triangle. The A-12 gained the nickname Flying Dorito, the aircraft was to be powered by two General Electric F412-D5F2 turbofan engines, each producing about 13,000 pounds-force of thrust. It has been claimed that the A-12 was to be capable of delivering nuclear weapons held in its weapons bay as well. The A-12 was to have a load of 5,160 pounds. Beginning in early 1990 McDonnell Douglas and General Dynamics revealed delays, due to complications with the composite materials, aircraft weight had increased to 30% over design specification. It provides day and night, high-altitude, all-weather intelligence gathering. 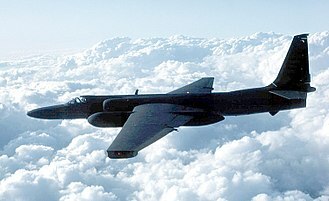 The U-2 has used for electronic sensor research, satellite calibration. 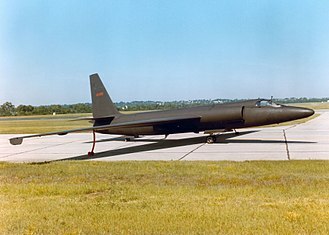 Early versions of the U-2 were involved in several events through the Cold War, being flown over the Soviet Union, Vietnam, in 1960, Gary Powers was shot down in a CIA U-2A over the Soviet Union by a surface-to-air missile. Another U-2, piloted by Major Rudolf Anderson, Jr. was lost in a fashion during the Cuban Missile Crisis of 1962. The U-2 is one of a handful of types to have served the USAF for over 50 years. The newest models entered service in the 1980s, the current model, the U-2S, received its most recent technical upgrade in 2012. They have taken part in post–Cold War conflicts in Afghanistan and Iraq, after World War II, the U. S. military desired better strategic aerial reconnaissance to help determine Soviet capabilities and intentions. Richard Leghorn of the USAF suggested that an aircraft that could fly at 60,000 feet should be safe from the MiG-17, the Soviet Unions best interceptor, which could barely reach 45,000 feet. He and others believed that Soviet radar, which used American equipment provided during the war, the highest-flying aircraft available to America and its allies at the time was the English Electric Canberra, which could reach 48,000 feet. Air Research and Development Command mandated design changes made the aircraft more durable for combat. The Soviet Union, unlike the United States and Britain, had improved radar technology after the war and it was thought that an aircraft that could fly at 70,000 feet would be beyond the reach of Soviet fighters and radar. Another USAF officer, John Seaberg, wrote a request for proposal in 1953 for an aircraft that could reach 70,000 feet over a target with 1,500 nmi of operational radius. 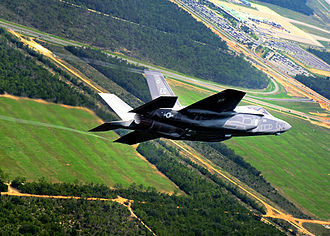 The USAF decided to solicit designs only from smaller companies that could give the project more attention. Under the code name Bald Eagle, it contracts to Bell Aircraft, Martin Aircraft. Officials at Lockheed Aircraft Corporation heard about the project and decided to submit an unsolicited proposal, to save weight and increase altitude, Lockheed executive John Carter suggested that the design eliminate landing gear and avoid attempting to meet combat load factors for the airframe. Delray Beach is a coastal city in Palm Beach County, United States. As of the 2010 census, the city had a population of 60,522. The population was estimated at 66,255 in 2015, Delray Beach is part of the Miami metropolitan area. Recorded history began with the construction of the Orange Grove House of Refuge in 1876, settlement began around 1884, when African-Americans from the Panhandle of Florida purchased land a little inland from the Orange Grove House of Refuge and began farming. By 1894 the Black community was enough to establish the first school in the area. In 1894 William S. Initially, this community was named after Linton, in 1896 Henry Flagler extended his Florida East Coast Railroad south from West Palm Beach to Miami, with a station at Linton. The Linton settlers began to achieve success, with farming of winter vegetables for the northern market. A hard freeze in 1898 was a setback, and many of the settlers left, settlers from The Bahamas, sometimes referred to as Nassaws, began arriving in the early 1900s. The 1910 census shows Delray as a town of 904 citizens, twenty-four U. S. states and nine other countries are listed as the birthplace of its residents. Although still a town, Delray had a remarkably diverse citizenry. In 1911, the area was chartered by the State of Florida as an incorporated town, in the same year and tomato canning plants were built. Pineapples became the crop of the area. This is reflected in the name of the present day Pineapple Grove neighborhood near downtown Delray Beach, prior to 1909, the Delray settlement land was within Dade County. That year, Palm Beach County was carved out of the portion of the region. By 1920, Delrays population had reached 1,051, the Florida land boom of the 1920s brought renewed prosperity to Delray. Tourism and real estate speculation became important parts of the local economy, Delray issued bonds to raise money to install water and sewer lines, paved streets, and sidewalks. At that time Delray was the largest town on the east coast of Florida between West Palm Beach and Fort Lauderdale, the collapse of the land boom in 1926 left Delray saddled with high bond debts, and greatly reduced income from property taxes. Canmore is a town in Alberta, located approximately 81 kilometres west from Calgary near the southeast boundary of Banff National Park. It is located in the Bow Valley within Albertas Rockies, the town shares a border with Kananaskis Country to the west and south and the Municipal District of Bighorn No.8 to the north and east. With a population of 12,288 in 2011, Canmore is the ninth-largest town in Alberta, Canmore was officially named in 1884 by Canadian Pacific Railway director Donald A. Smith. It was named after Malcolm III of Scotland who was nicknamed Canmore, Canmore is Gaelic for Big Head In 1886, Queen Victoria granted a coal mining charter to the town, and the No.1 mine was opened in 1887. By the 1890s, a North-West Mounted Police barrack had been instated on Main Street, the building was restored in 1989 and it is under the care of the Canmore Museum and Geoscience Centre. The coal mining industry in Canmore boomed well into the 20th century, in 1965, with a population of 2,000, Canmore was incorporated as a town. By the 1970s the market for coal was diminished, and in 1979 Canmore Mines Ltd. ceased operations. Canmores economic future seemed dismal until the announcement in the early 1980s that Calgary would be hosting the 1988 Winter Olympics, and this resulted in an increase in tourism, and Canmore began to develop into the recreational tourist destination it is today. The Canmore Hotel sits on the street as it has for over 100 years. The building has changed little in this time making it one of the most distinguishable landmarks in Canmore. The hotel celebrated its 120th anniversary in October 2010, concerns over Canmores urban growth adjacent to provincial and national park land has led to many efforts to place a limit on future development. The town is expected to reach its maximum build out following the completion of the SilverTip, Much of the Canmore area has been designated a wildlife corridor. This corridor allows animals such as bears, cougar and elk to move between patches, where they can find food, escape predators, give birth. The National Reconnaissance Office is a member of the United States Intelligence Community and an agency of the United States Department of Defense. The NRO is headquartered in unincorporated Fairfax County, Virginia,2 miles south of Washington Dulles International Airport, the Director of the NRO reports to both the Director of National Intelligence and the Secretary of Defense and serves as Assistant Secretary of the Air Force. The NROs federal workforce consists primarily of Air Force, CIA, NGA, NSA, the National Reconnaissance Office develops and operates space reconnaissance systems and conducts intelligence-related activities for U. S. national security. 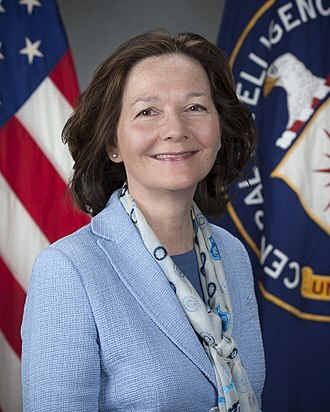 It coordinates collection and analysis of information from airplane and satellite reconnaissance by the military services and it is funded through the National Reconnaissance Program, which is part of the National Intelligence Program. The agency is part of the Department of Defense and it has been proposed that the NRO share imagery of the United States itself with the National Applications Office for domestic law enforcement. The NRO operates ground stations around the world that collect and distribute intelligence gathered from reconnaissance satellites, according to Asia Times Online, one important mission of NRO satellites is the tracking of non-US submarines on patrol or on training missions in the worlds oceans and seas. The NRO was established on August 25,1960, after management problems, the NROs first photo reconnaissance satellite program was the Corona program, the existence of which was declassified February 24,1995, and which existed from August 1960 to May 1972. The Corona system used film capsules dropped by satellites, which were recovered mid-air by military craft, the first successful recovery from space occurred on August 12,1960, and the first image from space was seen six days later. The first imaging resolution was 8 meters, which was improved to 2 meters, individual images covered, on average, an area of about 10 by 120 miles. 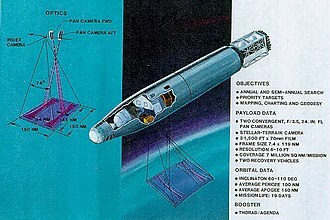 The last Corona mission, was launched May 25,1972, from May 1962 to August 1964, the NRO conducted 12 mapping missions as part of the Argon system. In 1963, the NRO conducted a mission using higher resolution imagery. The Lanyard program flew one successful mission, NRO missions since 1972 are classified, and portions of many earlier programs remain unavailable to the public. The first press reports on NRO started in 1971, the first official acknowledgement of NRO was a Senate committee report in October 1973, which inadvertently exposed the existence of the NRO. In 1985, a New York Times article revealed details on the operations of the NRO, the existence of the NRO was declassified on September 18,1992, by the Deputy Secretary of Defense, as recommended by the Director of Central Intelligence. In total, NRO had accumulated US$3.8 billion in forward funding, as a consequence, NROs three distinct accounting systems were merged. The presence of the new headquarters was revealed by the Federation of American Scientists who obtained unclassified copies of the blueprints filed with the building permit application. After 9/11 those blueprints were apparently classified, the reports of an NRO slush fund were true. The National Academy of Sciences is a United States nonprofit, non-governmental organization. NAS is part of the National Academies of Sciences and Medicine, along with the National Academy of Engineering, as a national academy, new members of the organization are elected annually by current members, based on their distinguished and continuing achievements in original research. Election to the National Academies is one of the highest honors in the scientific field, members serve pro bono as advisers to the nation on science and medicine. The group holds a congressional charter under Title 36 of the United States Code, … to provide scientific advice to the government whenever called upon by any government department. 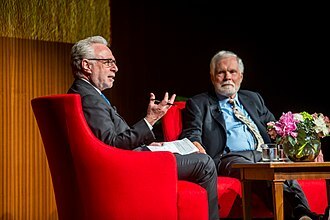 The Academy receives no compensation from the government for its services, as of 2016, the National Academy of Sciences includes about 2,350 members and 450 foreign associates. It employed about 1,100 staff in 2005, the current members annually elect new members for life. Approximately 200 members have won a Nobel Prize, the National Academy of Sciences is a member of the International Council for Science. Although there is no relationship with state and local academies of science. The National Academies is governed by a 17-member Council, made up of five officers and 12 Councilors, the National Academy of Sciences meets annually in Washington, D. C. which is documented in the Proceedings of the National Academy of Sciences, its scholarly journal. The National Academies Press is the publisher for the National Academies, since 2004, the National Academy of Sciences has administered the Marian Koshland Science Museum to provide public exhibits and programming related to its policy work. The museums current exhibits focus on change and infectious disease. The National Academy of Sciences maintains multiple buildings around the United States, the building has a neoclassical architectural style and was built by architect Bertram Grosvenor Goodhue. The building was dedicated in 1924 and is listed on the National Register of Historic Places, the building is used for lectures, symposia and concerts, in addition to annual meetings of the NAS, NAE, and NAM. 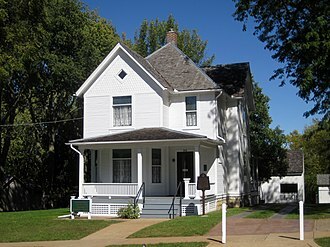 John and Elizabeth Shaw Sundy House, built in 1902, is listed in the U.S. Register of Historic Places. Morikami Museum and Japanese Gardens. Rutherford House, on the northeast corner of the University of Alberta campus. Corbett Hall, University of Alberta campus. Close-up of Atlas 501 payload fairing with NROL-41 satellite (poster commemorating 50 years of NRO). Serum and Vaccine Institute in Al-A'amiriya, Iraq, as imaged by a US reconnaissance satellite in November 2002. US Satellite imagery of Syrian tanks departing Da'el in Daraa province after several days of assaults against the town in April 2012.